One in eight women in Alberta will develop breast cancer in their lifetimes, and the chances increase with age. Due to this, if you are between 50 and 74 you should get mammograms regularly. In order to make this goal more achievable Alberta Health Service’s mobile mammography unit will be visiting the Fort Saskatchewan Hospital from January 24th-29th. 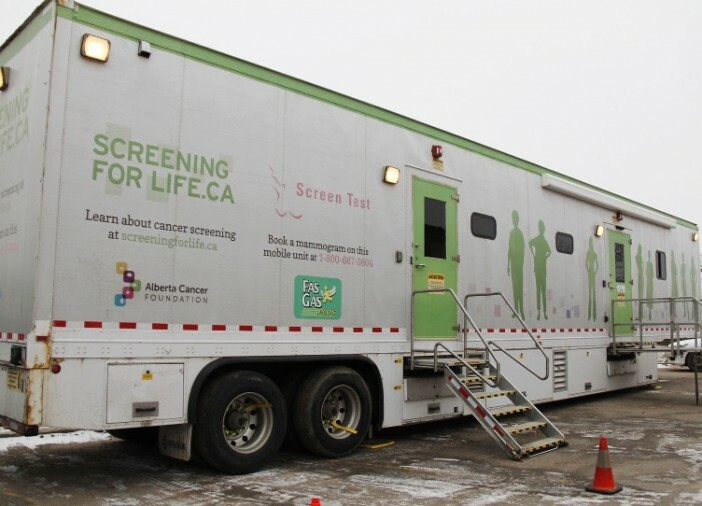 To book an appointment at the mobile screening unit, or at either the full-sized clinics located in Edmonton and Calgary, visit screeningforlife.ca/book-a-screening/ or call Screen Test at 1-800-667-0604. This mobile screening service is meant to bring breast cancer screening tests directly into communities outside of Edmonton and Calgary. These units are equipped with private exam rooms, reception areas, and dressing rooms to provide women with all the amenities of a full-scale clinic delivered directly to the community. For more information on the mobile mammography and any other screening tests visit www.screeningforlifa.ca, or www.albertahealthservices.ca.